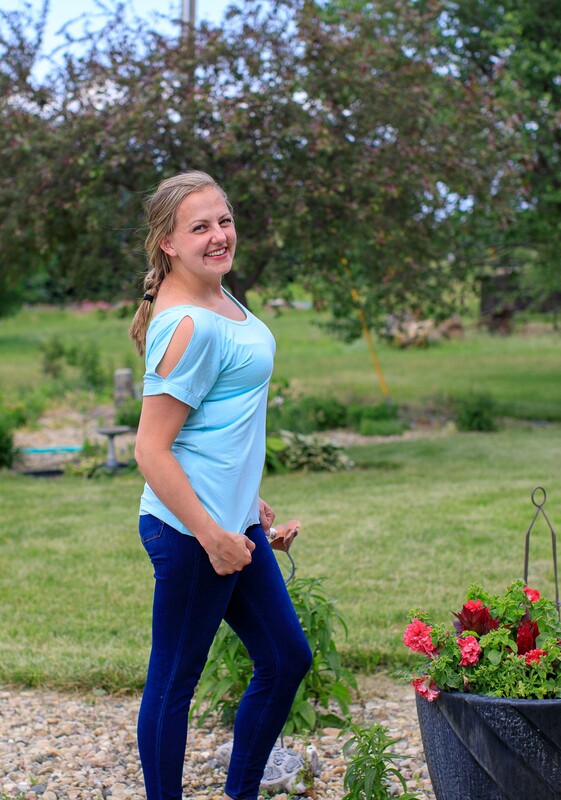 I am here today showing you how to make a cold shoulder top out of the Tamara Top , it is one of my most made patterns, it comes with so many options but I just had to make it even better with a simple cold shoulder hack 🙂 It does need to have dolman sleeves for this method to work. 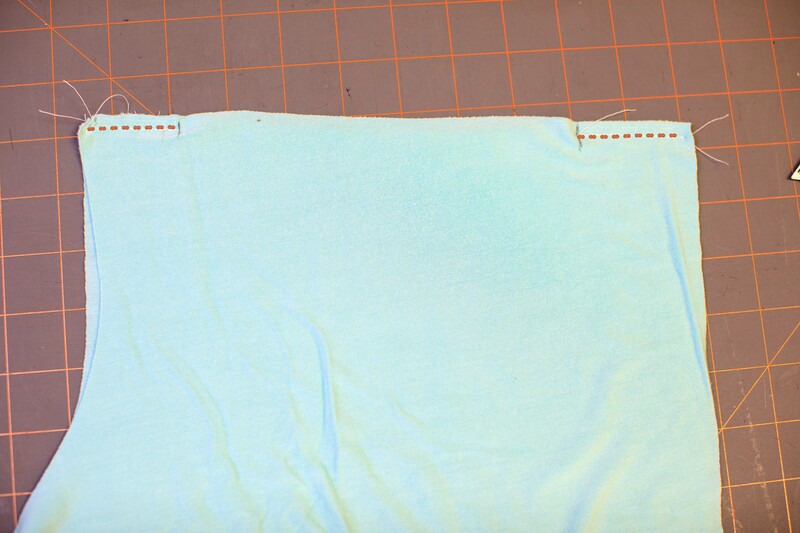 I am using a super soft and drapey rayon spandex from Phee Fabrics, this is by far my favorite rayon spandex I have ever used. ***Note: Rayon Spandex is not a recommended fabric for this top, unless it is a heavier weight, I am using a 13oz Rayon Spandex and it works great*** It is such a great feeling fabric with a good weight and drape, perfect for a top that looks a little dressy, but is still super comfy and easy for me to chase the 3 littles around in. I plan on making several more in lots of different colors, its such a great fabric to sew! I may or may not have slept in my top it is so comfy! This being a dolman top it is also super fast to sew, even with the few extra steps to make it a cold shoulder top, meaning it is a double winner in my house! Ok, let’s get started on making our top into a cold shoulder. 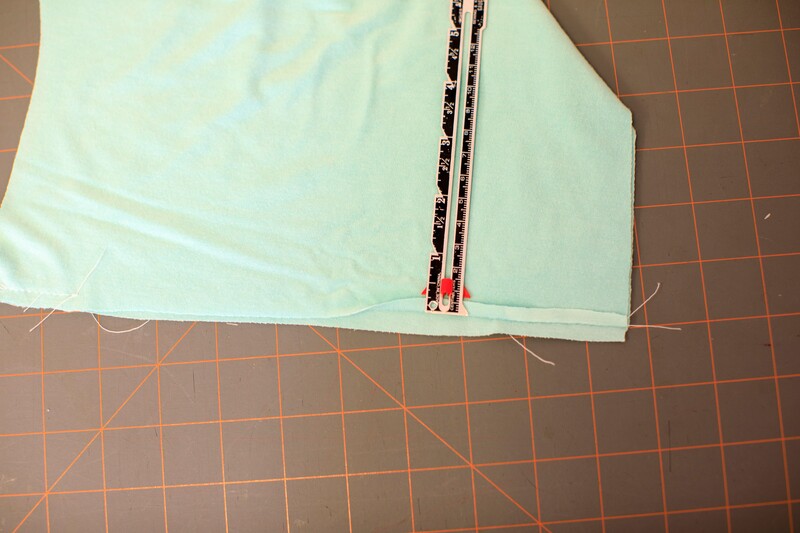 Lay your front and back bodice pieces right sides together. Now we will make the marks on our sleeves. 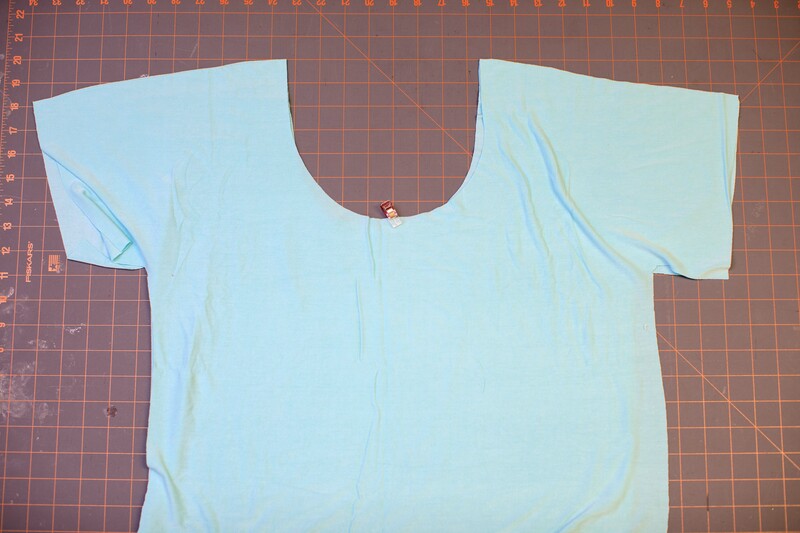 I wanted my hole in the shoulder to start 1.5″ from the neckline, so the first mark I made was 1.75″ from the neckline. I added .25″ to account for the seam allowance of the neckband. We will now go to the sewing machine and sew just from the neckline to our first mark and the from the second mark to the edge of the sleeve. 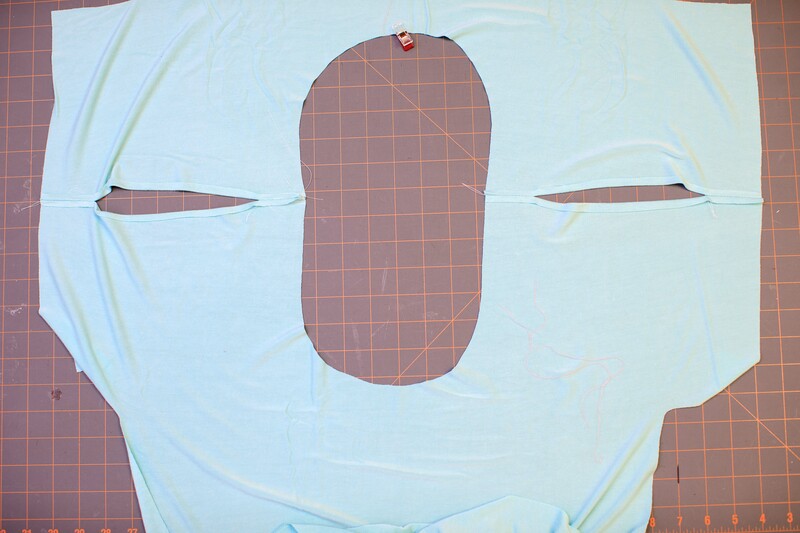 Leave the middle between the 2 marks unsewn, this is what is going to make our hole for the cold shoulder. Remember to use a stretch stitch here! It can be a zig zag or lightening bolt stitch. Do this to both sleeves. Now we want to press the seam down. Also press you seam allowance (mine is 1/4″) down where you left it unsewn, we will topstitch that down to complete our cold shoulder hole. Repeat on all sides. 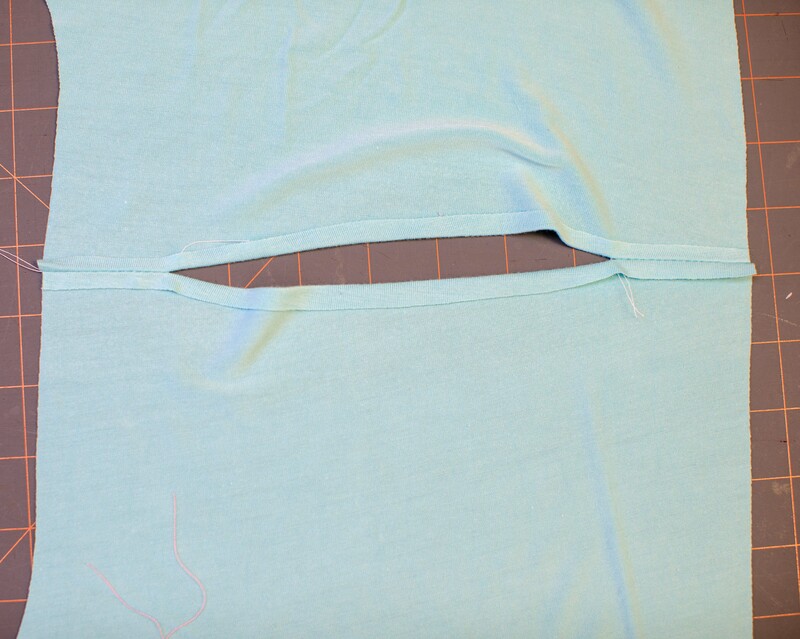 Now turn over so right side is facing up and topstitch your cold shoulder hole catching that portion you pressed under. I used a coverstitch, but a sewing maching using a stretch stitch or double needle would work great too! 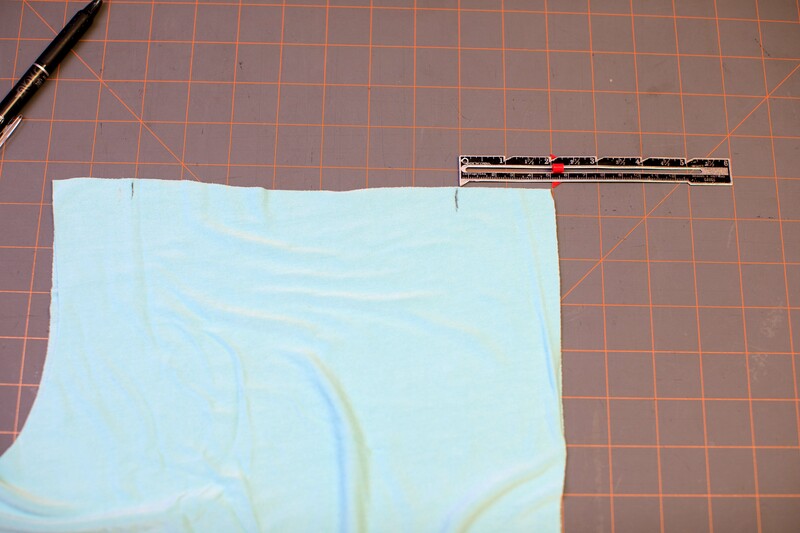 Tip: I like to use tissue paper when I am sewing hems that are close to the fabric edge to help make sure that the sewing machine doesn’t eat my fabric. After you are done sewing you can just tear away the tissue paper. 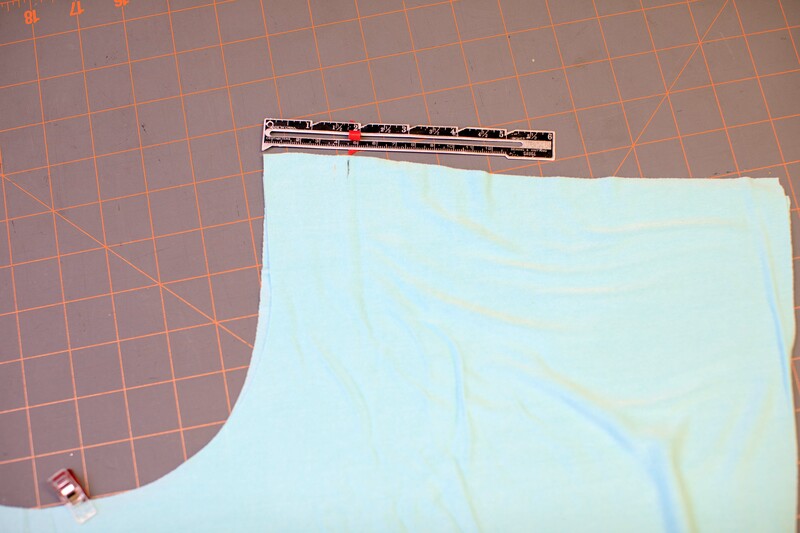 You can now finish you top like normal, with the side seams, neckband and hemming! All done and you have this fun cold shoulder top out of the Tamara Top.